On Chadar Trek. 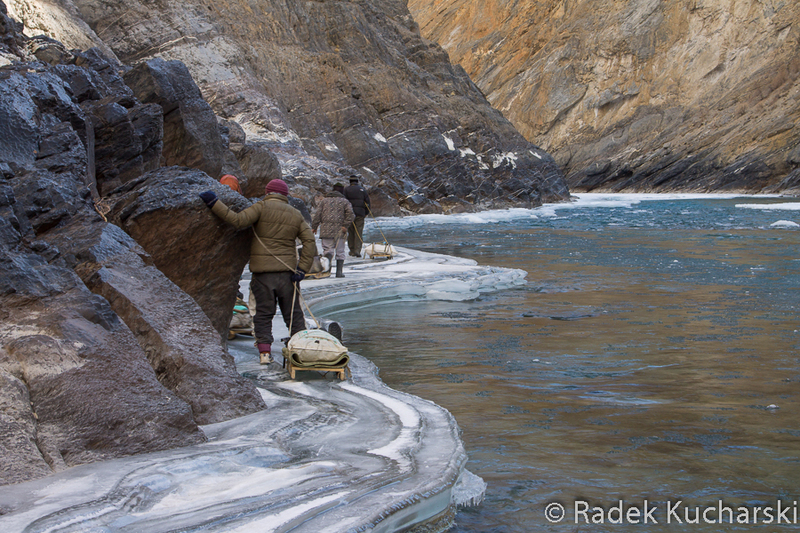 Zanskar River, January 2015. A Ladakh bibliography - list of books which I have found interesting, useful, inspiring or important. Hope it will help you to fill up your own Ladakh bookshelf. 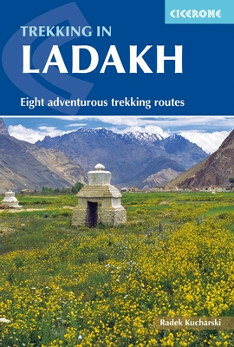 I visit Ladakh quite often since my guidebook was first published in 2012. The region changes. New bridges and new roads were built (with some of them damaged during the May 2015 flood), the number of visitors increased. Popular routes get packed during the peak season. Some treks can be shortened as places on the way become accessible by car. I've checked new variants of some routes and trekked again some well known footpaths. The information which I gathered are included in the current edition of the guide. Re-trekking the less popular routes reassured me that the best treks are located in the wild and remote parts of Ladakh. They are challenging, extremely beautiful and give much satisfaction. They are in the book and I hope readers will find joy exploring them. The paperback edition was released a few days ago. As previously, the book will be available in the EPUB and Amazon Kindle as well as some other ebook formats. There was a flood on Tsarab and Zanskar rivers in Ladakh in May this year. No casualties were reported but damages were significant. Many bridges as well as parts of newly built roads were destroyed. The flood effected some trekking routes - particularly in Zanskar. Trekking is possible but alternative pathways need to be followed in places. As not all the bridges were rebuilt this summer, the damages will certainly effect next season treks too. There is this beautiful custom of greeting everyone in Ladakh, no matter a family member, friend, neighbour or a stranger. Greeting and smiling. 'Julley' is the Ladakhi word used as 'hello'. Actually it is very useful as it can be also used as 'good bye' or 'good night' and it also means 'thank you'. I remember writing from Ladakh to a friend on my first visit here, that I was in the land where everyone smiles to each other and everyone says 'Julley!' to all the others. And these are genuine smiles: smiles - it seems - showing real joy of seeing you. I was quite moved seeing people being really happy to see me in their village in winter, Dec 2014. It is not only about 'julley' and the smile. Often, you will be invited to drink tea and while at home, you will be offered at least something small to eat. With the first experience of winter in Ladakh behind me (check this blog post and photos here) I landed in Leh on Dec the 12th ready to do more demanding treks than the previous season. My intention was to try to get to Zanskar over the passes still in December and - once there - return to Leh by the famous Chadar Trek: the way on the frozen Zanskar river. Although I did not manage to do everything I had planned, I did got to Padum from Lamayuru as well as succeeded testing the Chadar. With the short Ganda La trek at the end of my visit and the beautiful flight over the Himalayas from Leh to Srinagar I can't stop thinking about another winter season in Ladakh - maybe next winter. And I'm deeply convinced that there is so much more about Ladakh in winter than the famous Chadar Trek. I try to post updates regarding trekking routes in Ladakh after my every visit to the region. I post them at my guidebook page of my website. 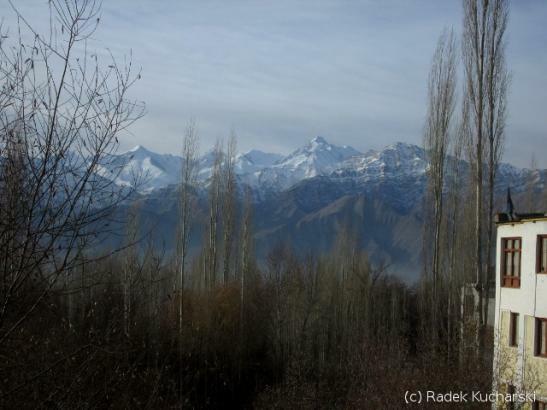 I've just posted an Update on Padum-Darcha road construction works and description of an alternative start of the "Tsarab Chu" trek. I did Tsarab Chu trek with a small and brave group earlier this month (major part of the route #2 in my "Trekking in Ladakh" Cicerone Press guidebook). It confirms again that it is one of the best treks in Ladakh and that September is the best time for trekking in the region! This is what Twitter users recommend to see or do in Ladakh. Would you like to add something to this list? - Simply include #LadakhRecommendation or #rcmdLadakh in your Tweet! It is 10 years in 2014 since my first visit to Ladakh. There is something to celebrate I believe and thought going to Ladakh in winter would be a good way of celebration. That's what I did last January. Without any booking except that for the flights, with no specific plans, without big preparations. Just there was more cloth than usually in my rucksack. I wanted to check how Ladakh looks like in winter. How much snow is there? How freezing is it? I wanted to check what an independent trekker could do there in winter. I didn't mean the famous chadar which would require going in a group. As usually, I wanted to trek independently with all my stuff on my back (no guide, no horses) and on my own. I expected it would be cold so decided not to take tent and rely on homestay accommodation. I also expected high passes to be difficult and quite dangerous for a solo trekker so I was thinking about rather easier routes along valleys with relatively short daily stages which could always finish in a village. All rights reserved. If you want to use a photo, please contact the author.